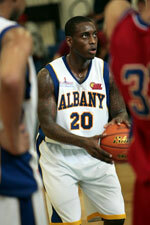 Al Hilla (IBL) signed 32-year old American forward Kenny Williams (201-102kg-86, college: Angelo State). He played most recently at Sitra Club in Bahrain Premier League and had very impressive stats: 18.3ppg, 15.0rpg, 2.8apg and 2.8spg last season. 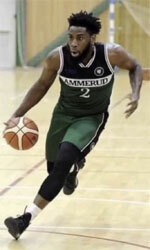 The previous (16-17) season Williams played at Al Kahraba (Superleague). Quite impressive season as he was named to Asia-Basket.com All-Iraqi League Honorable Mention. The list of the past achievements is quite long as among others his team made it to the LSC Tournament Semifinals in 2014. Williams was also voted All-LSC Newcomer of the Year back in 2014 at his college time. Williams has played on four different continents (Europe, Asia, Latin America and of course North America). He has played previously professionally in Luxembourg (Contern), Sweden (Solna Vikings) and Uruguay (Wanderers). Williams attended Angelo State until 2014 and it will be his fifth season as a professional player.